Standing one block away from the Manhattan West complex is 441 Ninth Avenue. 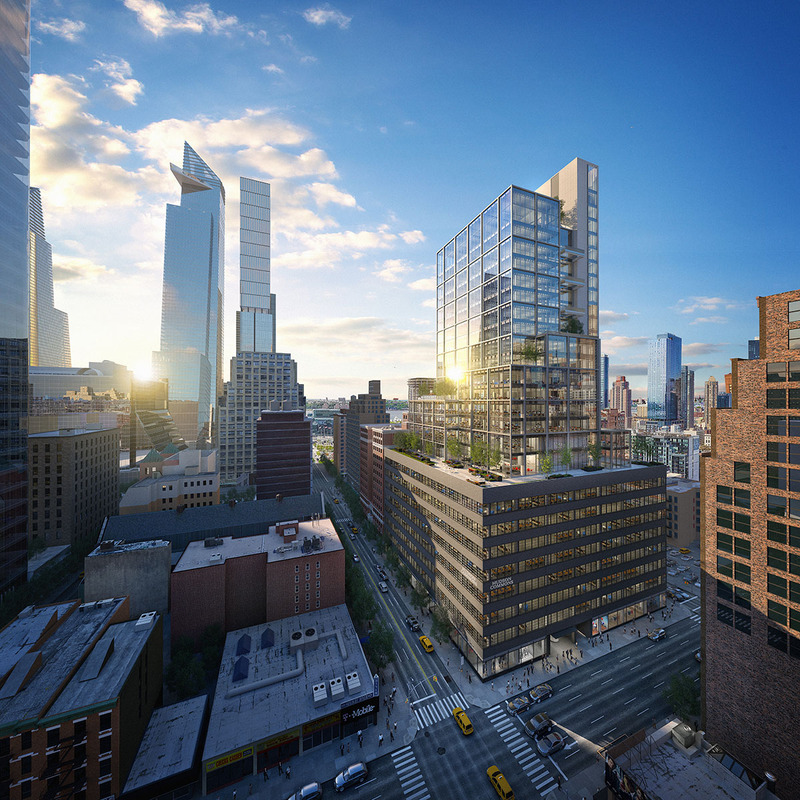 Located between 34th Street and 35th Street, the site sits among a hive of construction projects that have since sprouted in this section of Midtown. The mixed-use project will soon consist of a new 17-story addition above an existing eight-story 57-year-old building. There will be several retail spaces on the ground floor, as well as office and commercial space above. Cove Property and Baupost Group are the developers of the 700,000 square foot project, named “Hudson Commons.” Kohn Pedersen Fox is in charge of the design for the new extension. 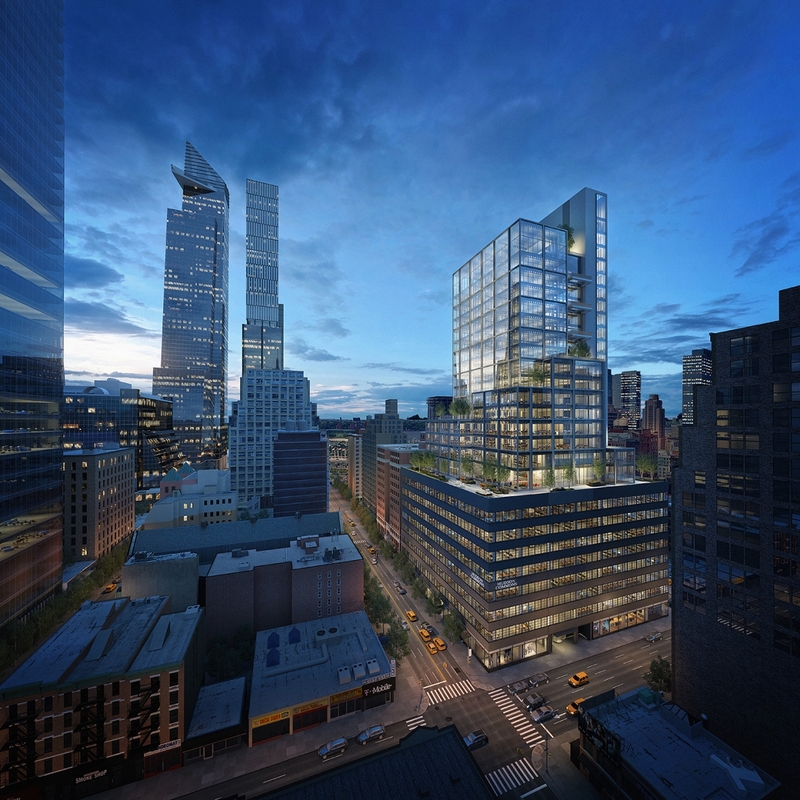 With the Hudson Yards and Manhattan West mega developments in Midtown dominating the news, it is easy to forget one sizable project just a block away. Hudson Commons is a major transformation of an eight-story warehouse built in 1962. An additional 17 floors will be added atop the black masonry-clad tower, bringing 700,000 square feet of new office space to the neighborhood. Cove Property and Baupost Group are responsible for the development. 441 Ninth Avenue, between 9th Avenue & Dyer Avenue and 34th Street & 35th Street, is undergoing a major transformation. The original eight-story structure was built in 1962 and once housed a warehouse, before being converted into an office building. Now, interiors are once again being renovated, and will sit beneath an all-new 17-story addition atop the square-shaped structure. Cove Property and Baupost Group are the developers of the 700,000 square foot project, named “Hudson Commons,” which is rising thanks to a $479 million construction loan secured last November. 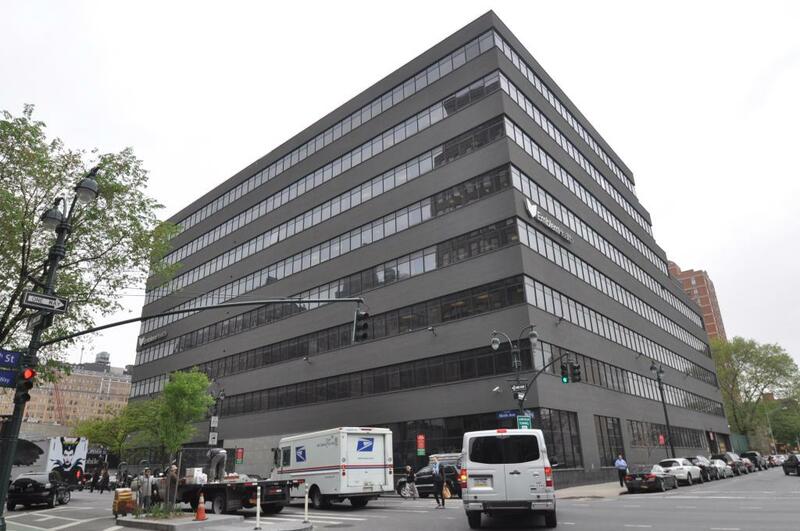 YIMBY’s last report on 441 Ninth Avenue was back when The Cove Property Group and hedge fund Baupost Group purchased the site. The two companies have now released a rendering, and information about plans that triple the floor count. Rentable square footage will balloon to 700,000 square feet, and 17 stories will be added atop the existing eight-story building, which will be gutted and redesigned. The eight-story, 423,000-square-foot office building at 441 Ninth Avenue — located between West 34th and 35th streets in the Hudson Yards District — is slated to be renovated and vertically expanded by 150,000 square feet. Portions of the ground floor could also be converted into retail space, The Real Deal reported. The plans haven’t been filed with the Buildings Department yet. The Cove Property Group and hedge fund Baupost Group are the developers. The duo recently acquired the property for $330 million. The structure was originally built as a warehouse in 1953 and later converted into an office property in the 1980s. The existing tenant is expected to vacate the property within one year.